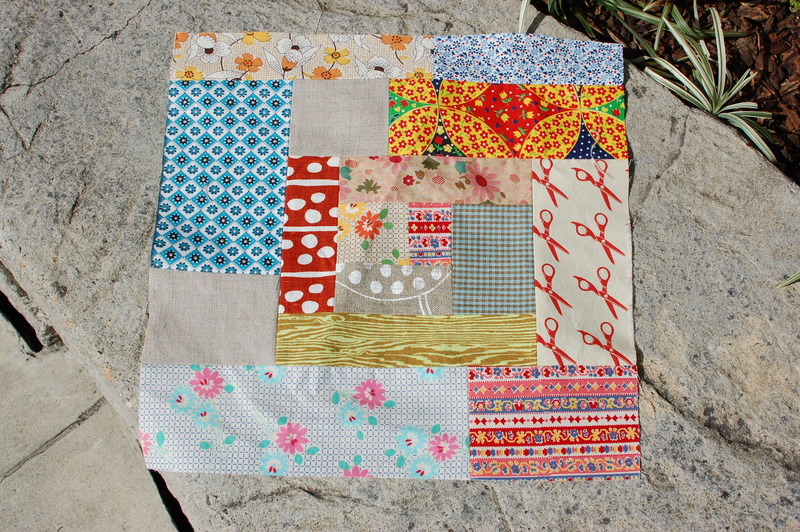 ← Boardwalk Quilt & More Coming Soon. . . 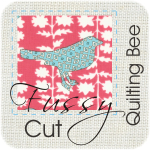 This weekend I got caught up on all of my Bee Blocks! The first two are for the amazing Jenny from Home Ec for the Bricolage and Butter Bee. They were a lot of fun to make! The great thing about bees is that you get to play with fabric that you never would use yourself. 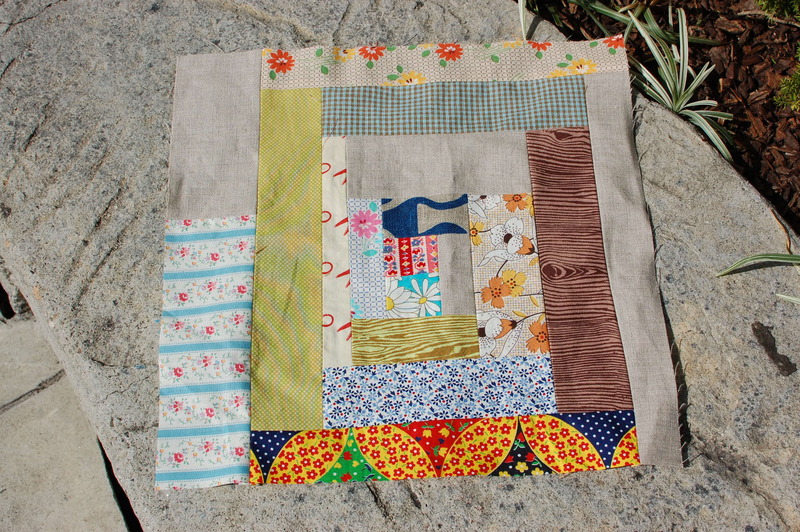 I love the linens that Jenny chose and the warm and cozy feeling of the blocks when they were finished. I hope you like them Jenny! Second are blocks for Greta for the Fussy Cut Bee, Group B. So much fun and so many bright colors. This is going to be an awesome quilt when it’s all put together. The floral fussy cut centers of the log cabin were lots of fun. Greta, I hope this is what you were looking for! 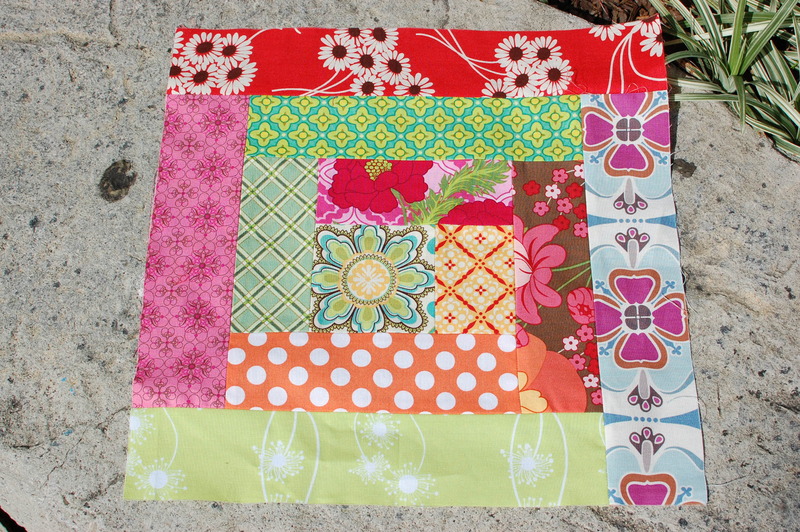 I’m also have about half of my blocks back from the Bricolage and Butter Bee. They are sooooo awesome! Look at those colors. I carried around all of the blocks that I have so far for a few days because I couldn’t keep my eyes off of them! Here’s a sneak peak from Lauren. I’ll share all of my blocks with you when I get them. 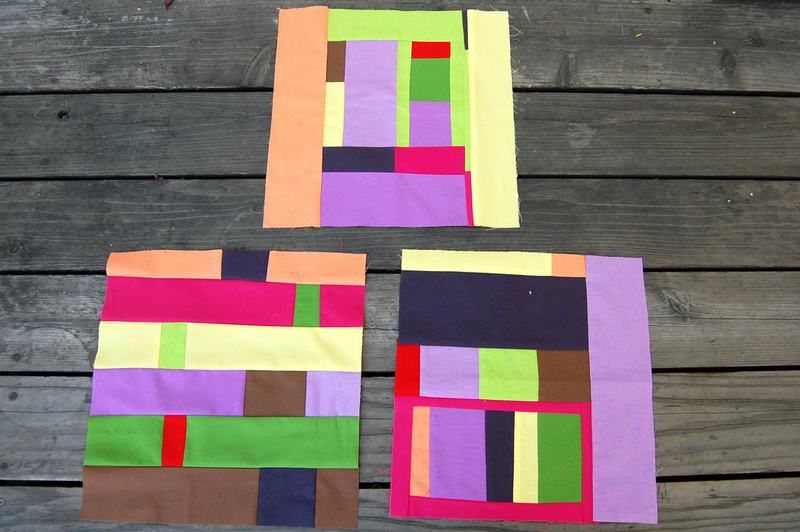 Bricolage & Butter Bee - Blocks from Lauren to ME! I love those blocks that Lauren sent you. Gorgeous. Thanks Chancy. 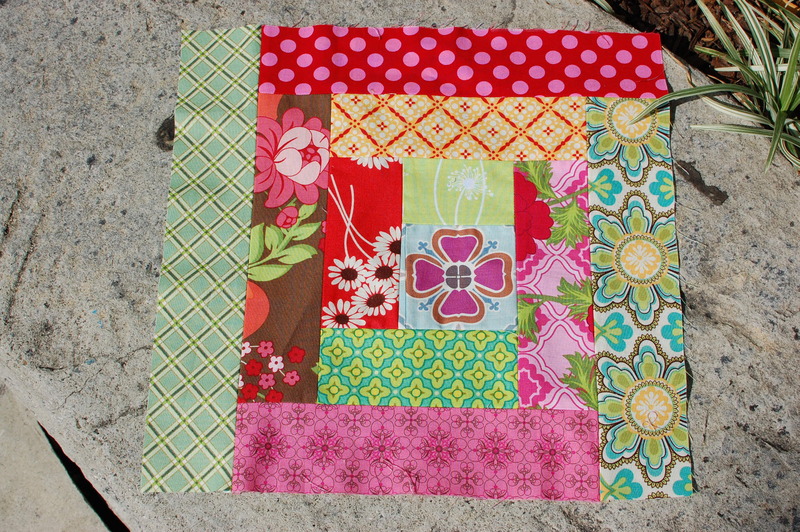 I am going to have soooo many beautiful blocks when I get them all back. This is just a small sampling. 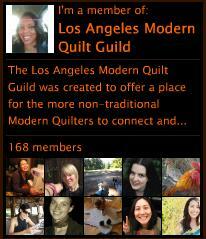 I’m so excited to get the quilt laid out and put it together!